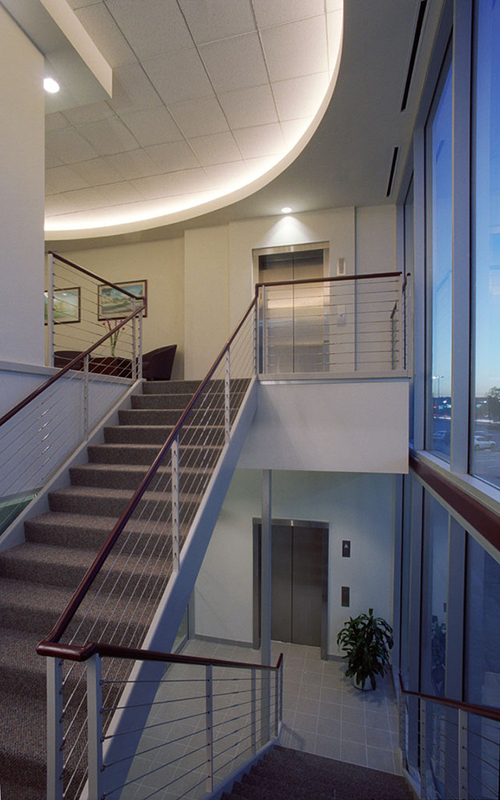 Browne McGregor Architects assisted New Plan Excel Realty Trust with the reconfiguration of their offices on the second floor of the Braes Heights shopping center to provide for multi-tenant occupancy. 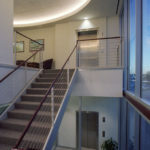 Services included a plan to subdivide the existing space and to provide access by the addition of a new entry tower containing stair and elevator. 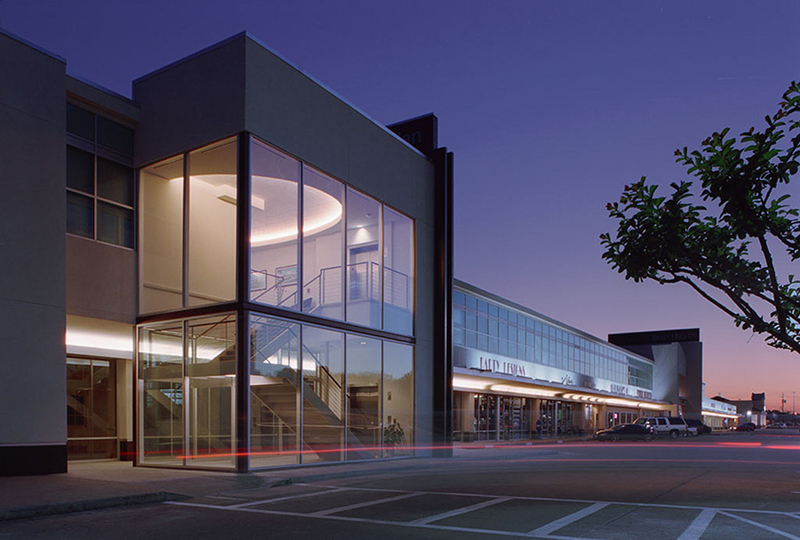 The tower was designed as a transparent element to provide visibility for a restaurant tenant occupying recently vacated space on the first floor.